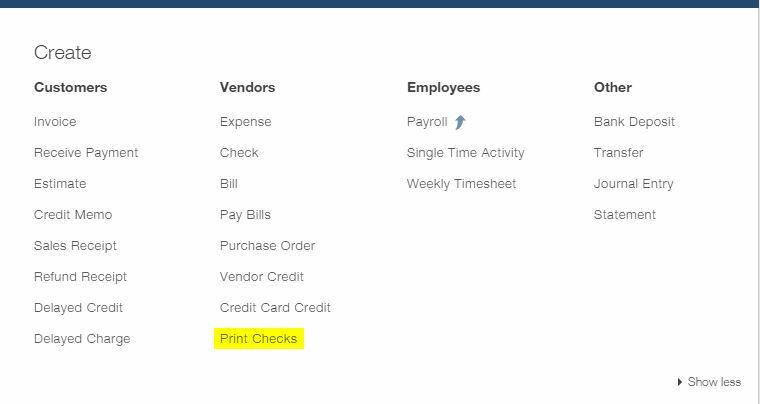 Once you are done with selecting “Pay Bills” process, you will see list checks to print to on Print Checks page. Make sure bank account is correctly selected. Check bank balance as well. You can print all checks or selective check from here. 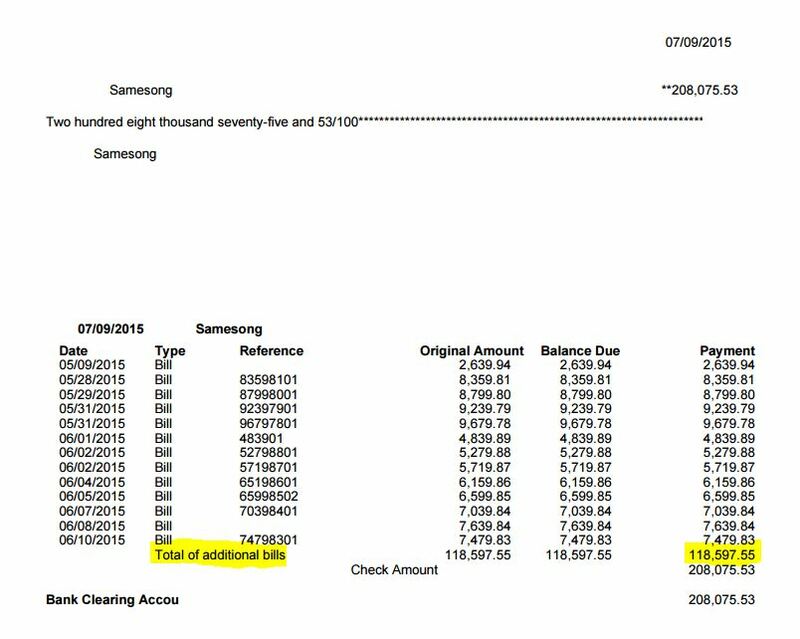 If you have gone through “Pay Bills” process and you see the above message, it means default bank account is not correctly selected when you opened the print check page. Change the bank account (upper left corner). In this example, to be printed checks were queued to Manhattan bank account and the default opened with Bank of New York. As of right now, QuickBooks Online will always summarize beyond the point of 13 bills on one voucher check. It will show as “Total of additional bills” on line 14 after listing 13 bills. In QBO, there is no way get Bill Payment Stub Detail so the Vendor knows what is being paid. For now, if you have to pay more than 14 bills on one check, stop at less than 14 bills and write a separate check. You don’t want check that “fit to page” box on your print setup. Yes, desktop voucher checks should still work in QuickBooks Online. There is no need to buy voucher checks directly from Intuit QuickBooks website or from QBO home page link. You can also buy it from outside vendors. Also, checkout Costco. Expect huge savings. What is the difference between Pay Bills and Write Checks? For bills to be paid later, use “Bill” and then “Pay Bills” menu. For bills to be paid immediately or which have already been paid, use Check. For example, when you receive your supplier bill with terms, which is not due till the end of the month, use “Bill” to track what you owe. When you pay it at the end of the month, use “Pay Bills” to clear the bill and generate the Check. If you bought supplies at your local store and immediately paid for them by Check, record the transaction using Check skipping the Bill and Pay Bills steps altogether. If you’re using an electronic method of payment directly through your bank (option not available in QBO), you should still use Check but just enter EFT (or Online, just be consistent) where the check number is in QBO.